I wonder how it is possible to have also the real name in the profile together with the username. Also is it possible to tell me which files i need to fix in order to get the correct registration date and the correct time in the profile settings. 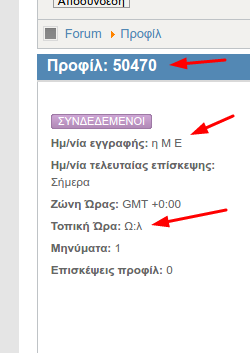 I use Greek language and I remember I had solved this problems before in K 3.0.6 but since then it's a lot of time and I can't really remember what I did! The only thing that I remember about is that I should edit a file because the short code for date and time was written in Greek characters instead of English! Last edit: 2 years 9 months ago by dimoss. 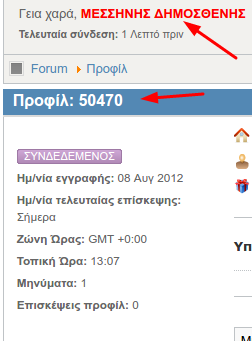 I solved the problem with date and time fixing the el-GR.com_kunena.libraries.ini in the Administratot/language folder. you can choose 1 or the other, not both. Else you need to customize the template. I have chosen from the Configuration to display the real name but in the profile it shows the username. And if I need to hack the template which file? What line? yes indeed a new bug.